The Leisure Ride goes to Brown’s Bakery at NW 10th and Walker, an 11 mile round trip. It is designed for entry-level or family riders. The ride leader adjusts the group speed to that of the slowest rider. A scenic route is used but is adjusted to fit the abilities of the riders. The Brown’s Ride also goes to Brown’s Bakery but at a faster pace than the Leisure Ride. A companion may be assigned to show the route to a first time rider. The Kamp’s Ride goes to Kamp’s 1910 Café at 10 NE 10th. There is an opportunity to eat breakfast. The ride then divides into a variety of longer rides. It is designed for riders above entry-level. The ride leader assigns companions to help show the route to first time riders. This ride starts with the Donut Ride, but its destination is Kamp’s 1910 Café at 10 NE 10th St. (just east of the RR tracks). Many on this ride have breakfast there. 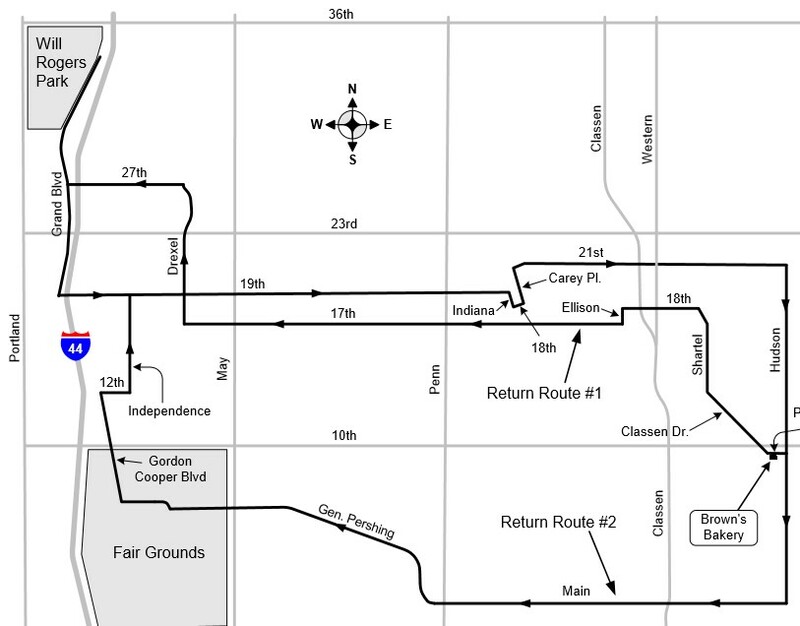 From there, riders follow several different routes, most longer than the Donut Ride, back to Will Rogers park. When present, Bill Drake usually organizes one such ride that he announces at the Donut Ride gathering.